Gazing at the stars from five storeys up, smelling the bins from five storeys below. Overheard arguments, overheard laughter. A disappearing father and a Mermaid-Queen mother; statues that sing for flesh and blood; bullies who kick you under the table; perfect red trainers - and the things that lurk in the library…. 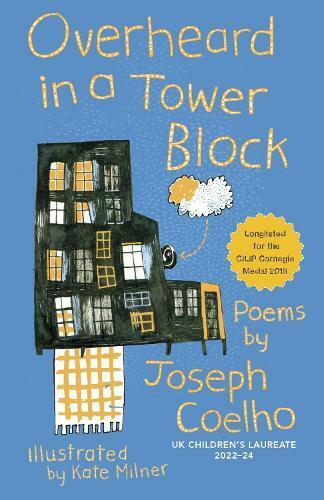 Award-winning poet Joseph Coelho’s astonishing new collection is a powerful and moving poetic narrative about growing up in the city.